Temple Run 2 Review - Is It A Worthy Successor Or Will The Curse Of The Sequel Strike Again? 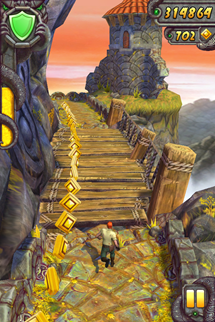 With over 50 million downloads and almost a million 5-star ratings, Temple Run has set the bar rather high for its successor, Temple Run 2. 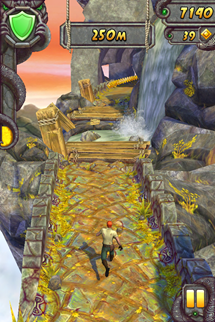 As is the case with most successful games, the basic premise of Temple Run 2 is the same as the original: you're in possession of an idol that's been stolen from an ancient temple, which has angered a particularly murderous monkey who wants to get it back. So what's changed? Well, the maps are more elaborate - this you can tell straight away as you zip-line your way into a brand new environment. 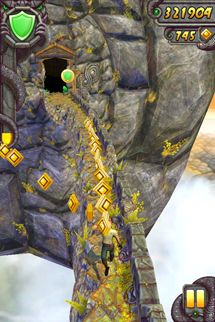 However, the basic swipe controls remain the same as the original game. 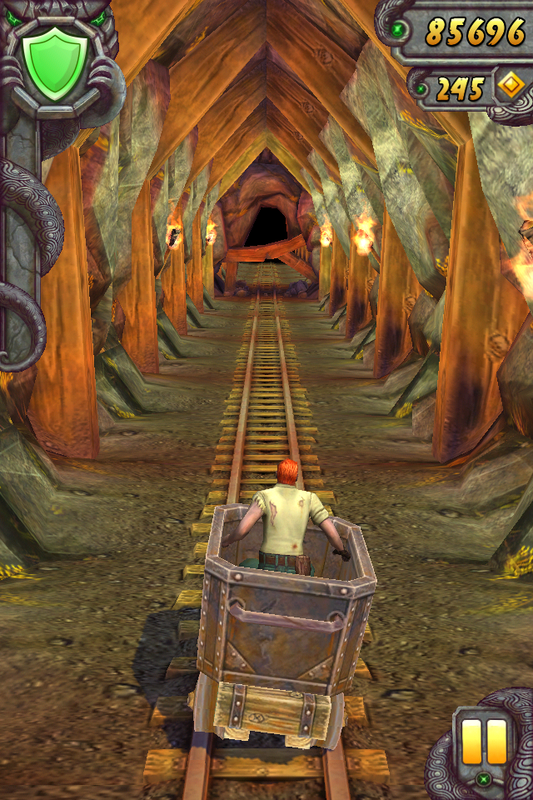 Zip-lines aren't the only addition to the Temple Run universe though; you'll also find revolving, spike-ridden wheels of doom, sudden cliff drops, water hazards, and the odd mine train that you'll have to tilt your way through (naturally). If you found the original game difficult, it's unlikely that the sequel will provide you with much reprieve. As you rack up more points, the pace hastens rapidly. 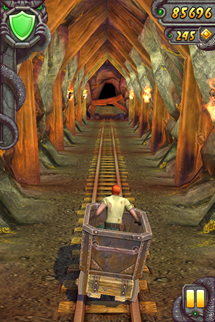 Combine this with the additional objects that are trying to kill you throughout the map, and Temple Run 2 is a very challenging game indeed. That doesn't mean that it's not casual though, in fact you now have the chance to use up your in-game gems to resume from where you left off when you die. After spending many months playing on the original version of the game, the new environments are a breath of fresh air, with new elements such as zip-lines, alongside a number of new obstacles such as broken rocks and water hazards, making the game far more aesthetically pleasing than the last one. 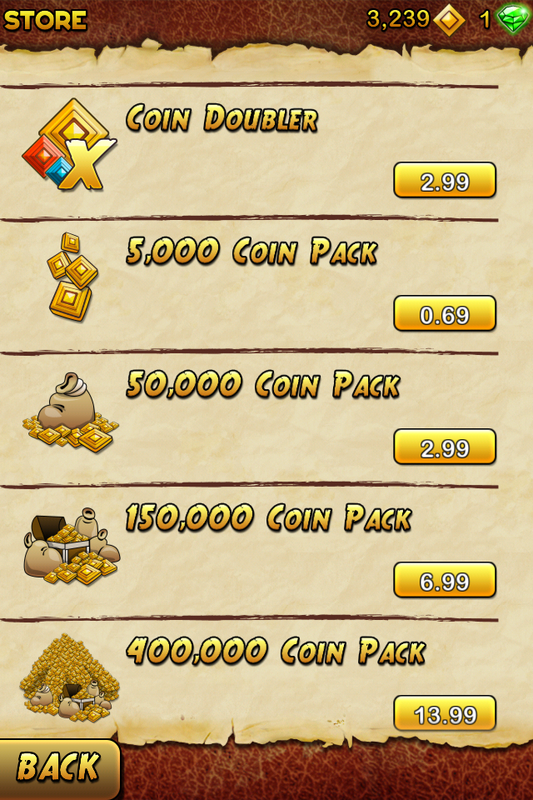 When you get bored of your default character, you can purchase three others with in-game coins. Each character has slightly different abilities, although these aren't made too obvious during the game. It would certainly add an extra dimension to the game if one character was particularly stronger, or more agile, than others, so that you could choose based on how you play the game, but as it is, you won't notice a massive amount of difference between them. To keep you coming back for more, the game will set various challenges, such as "run 500m without collecting any coins," which you have to complete to progress your character to the next level. This helps to increase your score multiplier, allowing you to get high scores very quickly and make your friends jealous of your insane casual gaming abilities. Still, it helps to keep the gameplay fresh, as you're aiming for more than just the highest possible score, like every other time you play the game. Despite making Temple Run 2 available for most devices that are capable of running Android 2.1 and above, the developers have managed to make the game look really good. 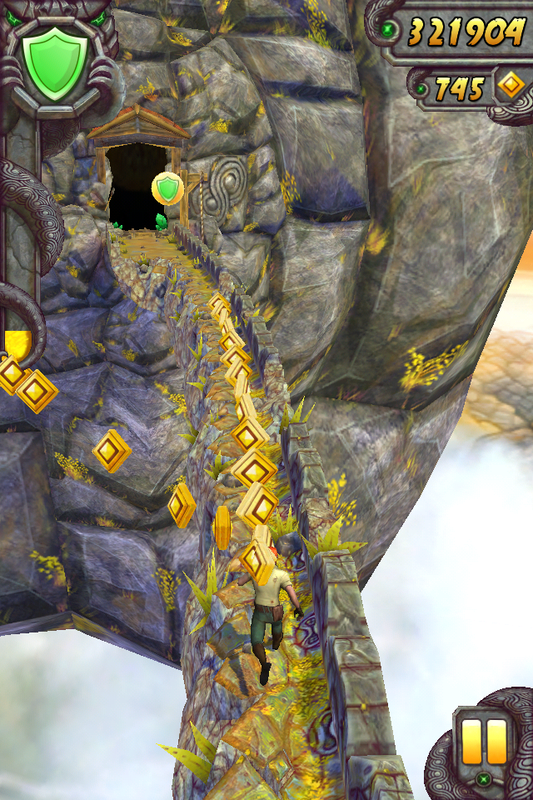 I tested the game on a range of devices with different specs (including an HTC Explorer with a 600MHz CPU and Adreno 200 GPU) and Temple Run played smoothly on all of them. In fact, the game is compatible with every Android device I've owned. Of course, it's never going to look fantastic on a low-end device when you compare it to a Nexus 4 or a Galaxy S III, but it's definitely smooth and fast enough to be playable without any frustration. What makes Temple Run such a popular game, aside from the addictive gameplay and visually pleasing graphics, is the combination of it being free, and devoid of frustrating ads. Of course, the money has to come from somewhere, so the developers rely on gamers to buy coins and gems through the in-game store. What's great about this model is that if you don't want to spend any money, you don't have to; you can do everything within the game without spending a dime - it will just take you longer to progress as you play your way through. 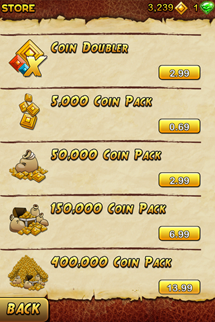 For those who don't want to devote a lot of time to the game, the 5000 coin pack is available for $0.99 (69p), and you can go all the way up to 400,000 coins for $19.99 (£13.99). 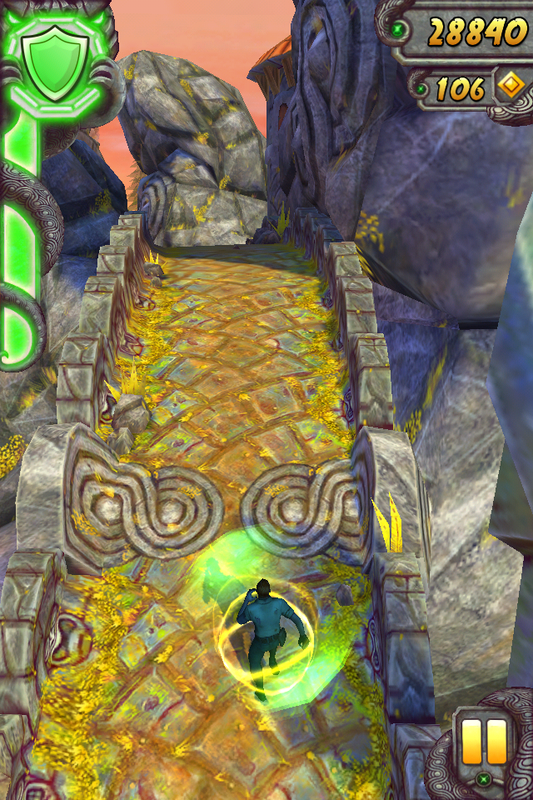 With the addition of a new environment containing some interesting elements, as well as new obstacles to trip you up, Temple Run 2 remains a very visually pleasing title that you'll quickly find yourself picking up when you have a spare few minutes in your day. The various challenges will keep you coming back for a few weeks after you've downloaded the game, and manage to keep more accomplished players on their toes for a while. 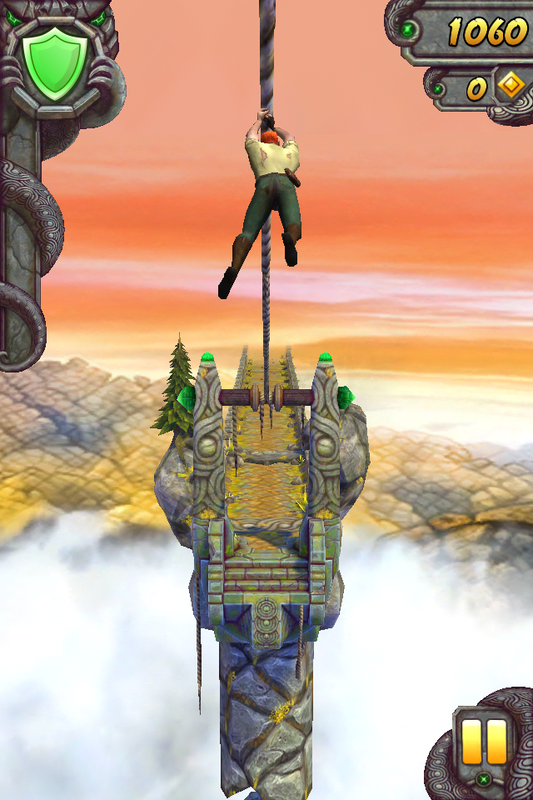 If you're looking for a nice, casual time-killer, Temple Run 2 is a no brainer. Its namesake remains one of the best games - free or paid - available for Android, so you should definitely download it and take a look.